We renewed our online store and in order to celebrate this you get a 10% off on your oder whit code NEWSHOP. Discount is valid until 2.12. Check out our new shop and the new Outlet section! Morris table, an asymmetrically shaped round coffee table series was designed in 2005, and soon became the cheery pet of many design followers – and designers! The unconventional story of these easygoing coffee tables began with a small but mighty dachshund puppy named Morris, who became part of the designer’s household in 2004. Morris the puppy used to take his afternoon nap under the work lamp on the architects drawing table at the office. His round but compact forms as well as his gentlemanly presence were a great source of joy and inspiration- and soon generated a design for a table, which has playful thinner and thicker turned wooden legs and a gently rounded top. The rounded tables can be set up in endless combinations of colours and forms, the asymmetric set of legs forming a small oak forest underneath. The standard Morris models include variations in black, white and many beautiful colours in matte or high gloss laminated MDF and legs in oil waxed solid oak. 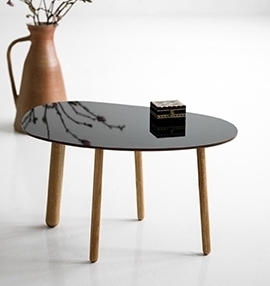 Wooden tabletop versions include oak veneered MDF with oak legs, as well as the more exquisite solid wood versions in oil waxed oak or in soap finished ash. Morris tables were first exhibited to the public at an international trade fair in 2005. 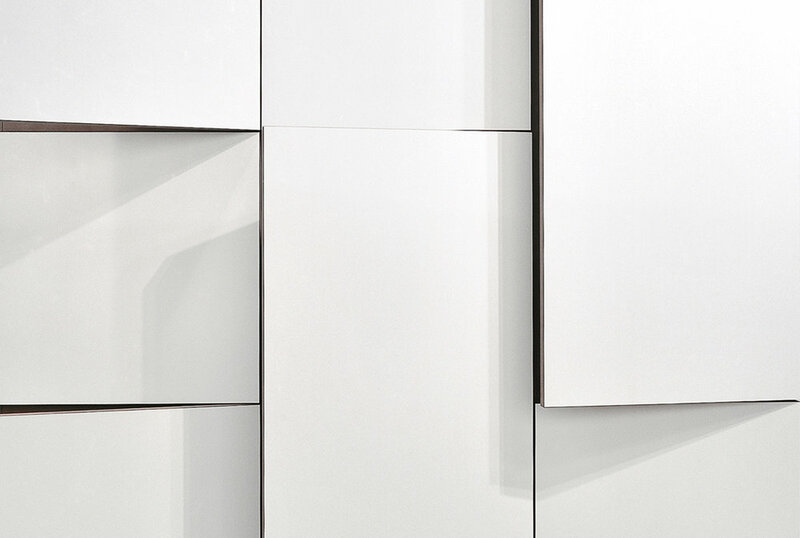 Morris is included in a number of private collections of modern furniture in Europe and North America. It has been singled out as one of the new classics in Finnish furniture design by design magazines, furniture producers as well as design collectors and vintage dealers. The table series is designed by architect Kirsi Gullichsen, inspired by the beautiful movements of her late black dachshund boy, the lovable Mr. Morris. Our approach to furniture is architectural and we are keen to design systems, which can generate multiple variations of a core idea - in other words variations within standardization. Our mission is to create beautiful, highly functional and versatile basic furniture, which inspire users at home and at work. We produce locally to high craftsmanship and design standards and want to promote intelligent consumption by durability and longevity in design, technical performance and materiality. Good design needs good craft: both are necessary to make beautiful reality. We want to be clever in our designs and match the inherent qualities of our natural and synthetic raw materials – and we expect the craftsmen to know their stuff too.